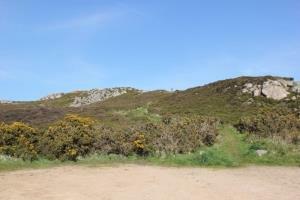 Abergwesyn Commons, on the southern edge of the Mid Wales Cambrian Mountains, is a wild and ancient landscape with far-reaching views. 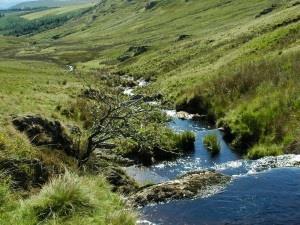 The commons stretch for 12 miles between the Nant Irfon valley in the west and Llanwrthwl in the east. 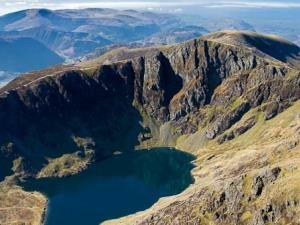 Yr Aran ('The Peak' in English) is a 2450 feet/747 metre high mountain peak on a ridge radiating south from Snowdon, with beautiful views of the summit of Snowdon, Moel Hebog and the Nantlle Ridge. 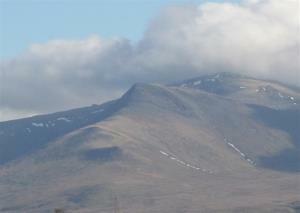 Moel Cynghorion (The Bare Hill of the Councillors) lies several miles north-west of Snowdon and forms part of the Moel Eilio Horseshoe walk; it is 2,211 ft high. 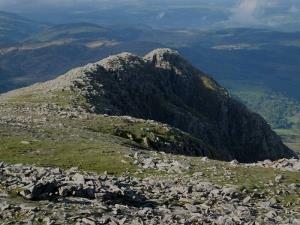 At 3010ft (917m), Tryfan is the fifteenth highest mountain in Wales and offers a wealth of scrambling and climbing possibilities. 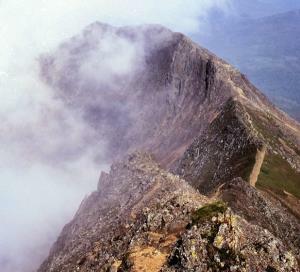 Crib Goch is 3028 ft (923 m) high and is described as a "knife-edged" arête in the Snowdonia National Park. 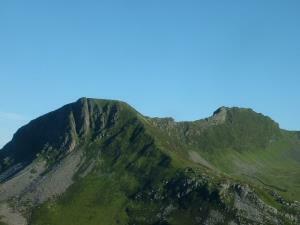 The name means red ridge in Welsh, referring to the serrated ridge and the colour of some of the rocks. 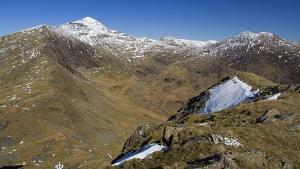 At 3,209 ft, Pen yr Ole Wen is the seventh highest mountain in Snowdonia and in Wales. 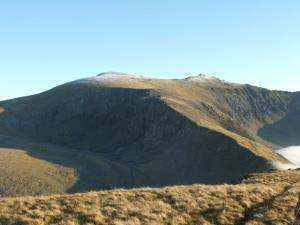 It is the most southerly of the Carneddau range. 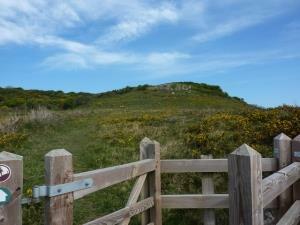 It is the same height as England's highest peak, Scafell Pike. 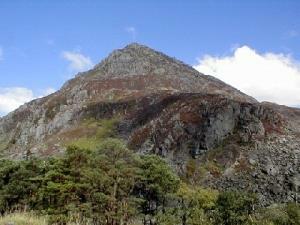 Moel Siabod is a mountain in Snowdonia, which sits isolated above the villages of Betws-y-Coed and Capel Curig. 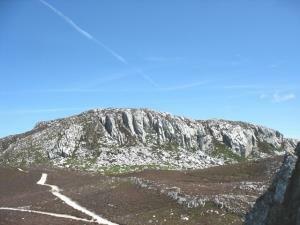 At 2,861ft (872m), it is the highest peak in the Moelwynion mountain range. 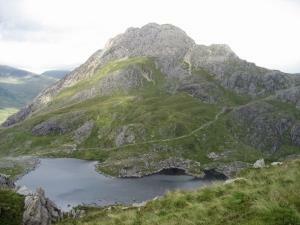 Y Garn is a 3,107 ft high mountain in Snowdonia, located north-west of Capel Curig. 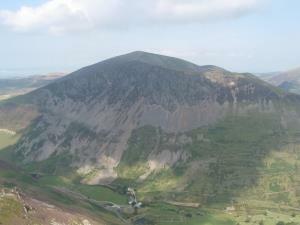 Moel Eilio is situated approximately 3 miles north-west of Snowdon itself. 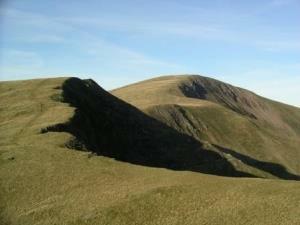 It has two subsidiary tops, Foel Gron and Foel Goch (Eilio). 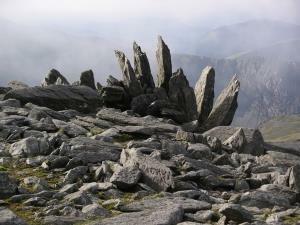 Glyder Fawr is a mountain in Snowdonia located south-east of Llanberis, the highest peak in the Glyderau range at 3,284 ft (just over 1,000m), having had its height recalculated in 2010 using GPS. 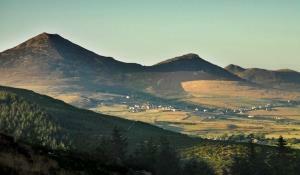 Mynydd Mawr is 2290 feet high and is situated approximately 4 miles west of Snowdon itself, overlooking Llyn Cwellyn and being the northern outlier of the Moel Hebog group. 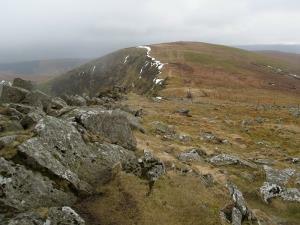 Cadair Berwyn mountain summit (Y Berwyn or Mynydd y Berwyn) in north-east Wales is the highest point in the Berwyn range at 2723 ft (830 meters).